Make friendship bracelets and much more! Break-resistant and won't get stretched out of shape. The best part? It's easy to use! 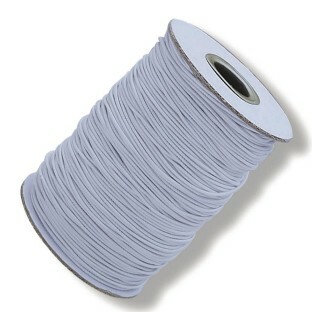 We use lots of this elastic for necklaces bracelets and masks. Strong no breakages easy for young children to thread beads onto and once tied does not come undone! Delighted I got a discount for buying two spools! This is my favorite beading elastic - perfect for use with pony beads and many other types. It is very sturdy. I used this product to make key chains and it worked awesome.